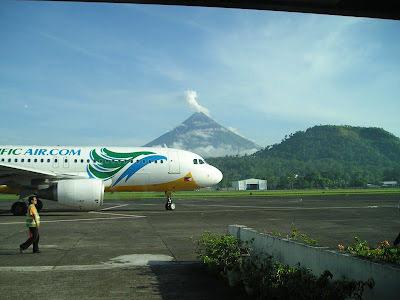 I took these photographs while we were waiting for our flight going to Manila last July 5, 2009 . 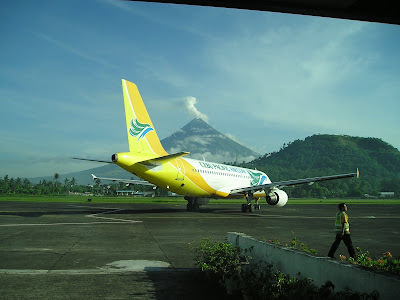 I captured one of the plane that was taking off with the view of the majestic Mayon Volcano. 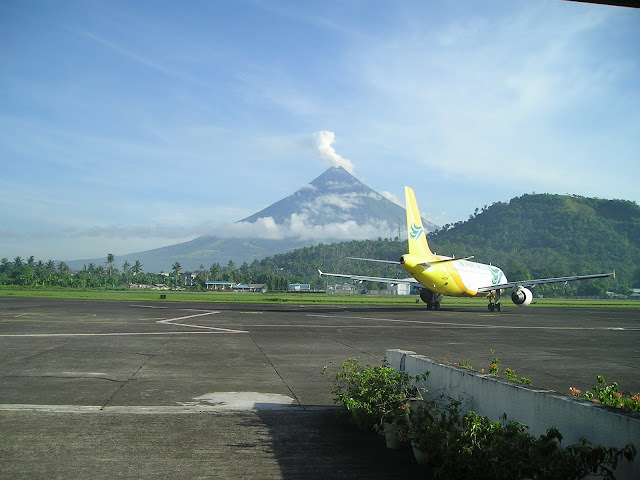 Mayon Volcano is beautiful but it is very active. As most of you knew, I am from the Philippines. So my country's name and the Plane is perfect for P in ABC. Oh the name of the airline is Pacific Air.. PERFECT! volcano's are cool and beautiful (as is the lava) as long as they aren't too close or disruptive. 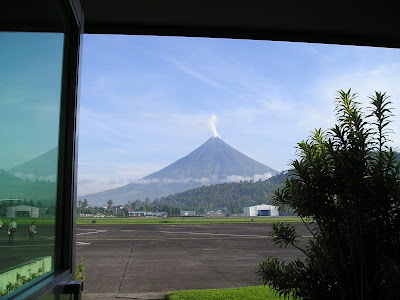 This is beautiful ... wish to visit this one day, i love the Philippines hehe. 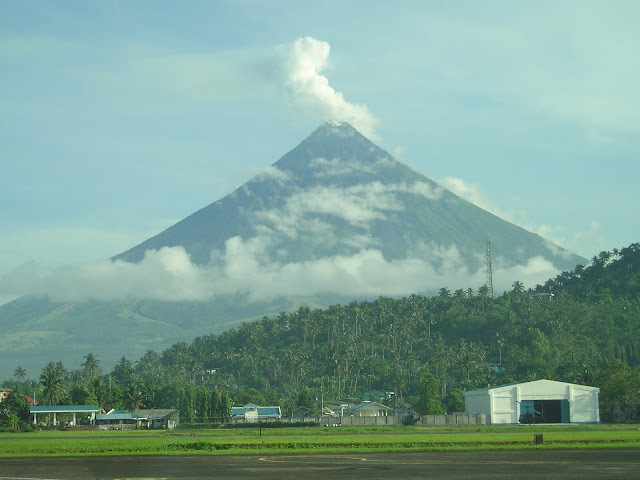 Perfect Post for the letter P. The volcano looks like a pyrimid. Just striking shots of your beloved country. Very good use for Letter P.
That volcano is a Perfect shape. I'm in awe of this force of nature. Fantastic photos for SWF!Thank you for sharing and have a nice weekend! This is rally some very beautiful Skywach pictures. Bravo! I was just over visiting Rose ... thanks so much for showing us the awesome volcano pics! I love seeing all of these pictures from all over the place. I was about to say...it's yummy! hehehe....mali pala...it's gorgeous!